On the 19th November 2018 three of the student officers from Middlesex University’s Students’ Union - Lucy Holland, Ayah Benberna and Erica Ramos, alongside the university’s Director of Student Affairs, David Malpas, attended a government-funded day trip to Auschwitz, Poland. The trip was organised by the Holocaust Educational Trust and The Union of Jewish Students and saw university staff and elected student leaders from almost 50 institutions across the UK in attendance. The purpose of the trip was to learn about the history of the Holocaust, to remember those individuals who lost their lives and to increase our understanding of the contemporary relevance of the Holocaust to thus enable us to challenge antisemitism on our campus and in our community. Those who attended the trip were encouraged to return to their universities and look at ways they could use their knowledge, particularly of the dangers of where hate propaganda and misinformation can lead to, to tackle hate crime, intolerance and discrimination experienced by university students. The Community Security Trust, which monitors antisemitism, for example, has recorded 112 incidents of antisemitism, such as graffiti and verbal abuse, on UK campuses in the past five years – including 20 last year. Therefore, there is important work to be done here. Before the Christmas break, David Malpas, with Ben Serlin (Senior Programme Manager, Student Affairs) and Helen Bendon (Director of Programmes for Cinema and Interactive Arts) submitted a bid to the Home Office for funding to deliver a community engagement project whereby students will engage with Barnet’s Jewish communities affected by hate crime and communicate their stories to help challenge behaviours and attitudes and drive forward culture change. We will find out if they have been successful in mid-February! Bulb Planting Documentary from MDX Film on Vimeo. The day before we attended a pre-visit seminar, which focused on what the Holocaust was and on the diversity of Jewish life before the war. We also heard testimony from Holocaust survivor, Susan Pollack. When we travelled to Kraków, Poland, the next day, our first visit was to the town of Oświęcim, where we saw images of the town before the Holocaust as a bustling community. We also stood just before a part of land where the Great Synagogue once stood. After this, we made our way to Auschwitz One where the words “Arbeit Macht Frei”, which means “work sets you free”, tower over the entrance. We were given a tour of the site and heard of the horrors that the Holocaust brought, seeing thousands of items, from eye glasses, to suitcases, to shoes, which belonged to those taken to the camp. As it grew dark, we made our way to Auschwitz-Birkenau, and we walked through the entrance into the camp. We learned about the jobs prisoners were forced to do, their terrible living conditions and saw one of the cattle cars which were used to transport prisoners into the camp. It was an experience we will never forget. It was an emotional trip during which we heard personal accounts from individuals affected by the inhumane treatment of their families, friends and loved ones, the memories that children rehomed in the UK have never forgotten. The Holocaust Memorial Day Trust have launched the theme of “Torn from Home” for this year’s Holocaust Memorial Day to encourage us to reflect on how the enforced loss of a safe place to call ‘home’ is part of the trauma faced by anyone experiencing persecution and genocide. Not only do people lose their place of safety, comfort and security, but when individuals, families and communities are driven from their homes because of persecution they often continue to face difficulties when trying to rebuild new homes and settle into new communities, very often in a new country. The students’ union are proud to have worked with North London Citizens and Barnet Council to continue work in our local community to resettle and rehome people fleeing conflict or threat of genocide, giving them a safe haven and place to rebuild their lives. MDXSU have continuously worked on a campaign to support the resettlement of Syrian Refugees which successfully saw the leader of Barnet Council, Cllr Richard Cornelius agree to accepting three Syrian refugee children per year for the next ten years as part of a national campaign lead by Citizens UK and the refugee charity Safe Passage. The national campaign is calling for government to resettle 10,000 refugee children over 10 years. This can be achieved, if every local authority in the country takes just 3 children a year. The Barnet commitment was made at the annual Sukkot ceremony at Finchley Progressive Synagogue in September 2018, an event which celebrated the 3rd anniversary of Barnet Council agreeing to resettle 50 Syrian Refugees, as part of a campaign led by our former MDXSU Vice President, Sayed Alkadiri. The event also marked the 70th anniversary of the Kindertransport, when Britain welcomed 10,000 Jewish children during the Second World War. We are really proud that Barnet resettled and rehomed 50 families who’d been granted safe passage to Britain throughout the Second World War in the local community, giving them the opportunity to flea persecution and form part of the diverse community we have in Barnet. Our visit to Auschwitz really brought home the reasons we continue to be at the centre of the work the local council and campaigning community organisations do to offer support in rebuilding homes, a sense of community and an opportunity to engage in work and education for individuals seeking refuge from persecution. As elected student officers we are proud to represent students at a university which truly values diversity and integration of students to the local community. With a spike in hate crime in the UK post the Brexit vote, it has been encouraging to see our local council be the first Conservative Council to agree to continuing to accept refugee children for resettlement, to see people from all different faiths, cultures and backgrounds building a stronger sense of community locally and to see initiatives from the university to tackle hate crime through working with the students’ union to strengthen both reporting systems and the support available to students who experience any form of discrimination due to their faith, beliefs or culture. We are proud of the diversity within our student body and of the commitment the university made to waiving the tuition fees for four of the Syrian refugees resettled in Barnet in 2015 to go on to become students at Middlesex University, providing them with the opportunity to learn and progress as part of our society. 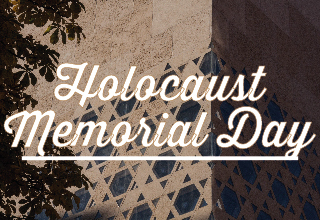 On Holocaust Memorial Day we want to both show our respects to those who have lost their lives, families and loved ones due to persecution and to celebrate the continuation of our communities working together to defeat hate.